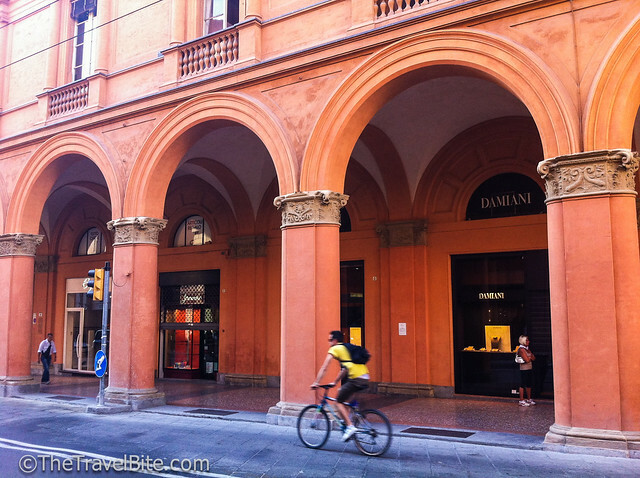 I’ve been in Bologna for a week now and I’m absolutely enamored with the city. 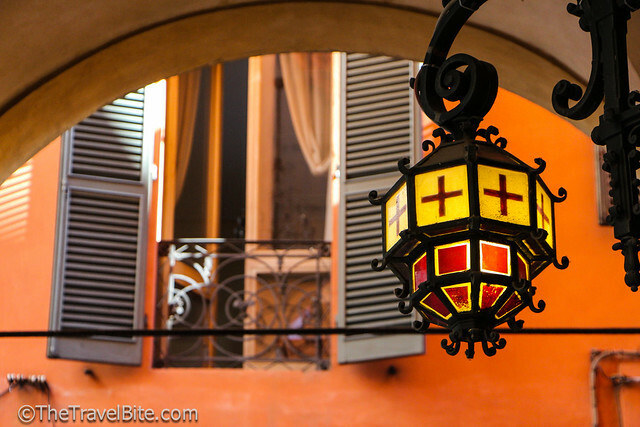 I’d never considered traveling to Bologna before coming here for this Blogville project, as Rome and Italy’s other famous cities steal the spotlight. 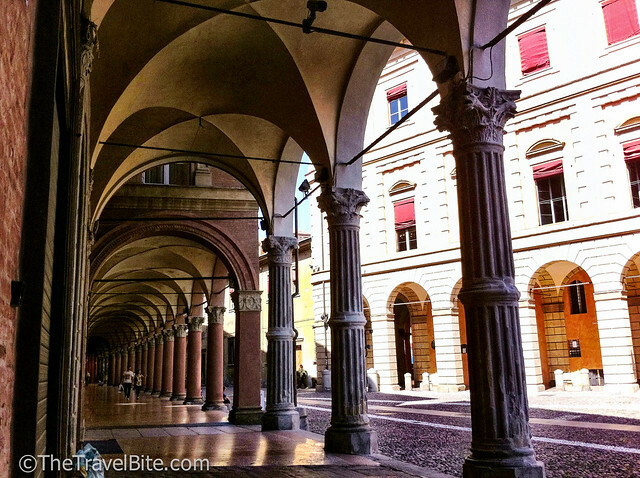 But the one thing I’d heard about was Bologna’s porticoes. I had seen photos and read posts like the story Beers and Beans captured about the liveliness that happens beneath them. But I didn’t quite “get it” until I was here in person. 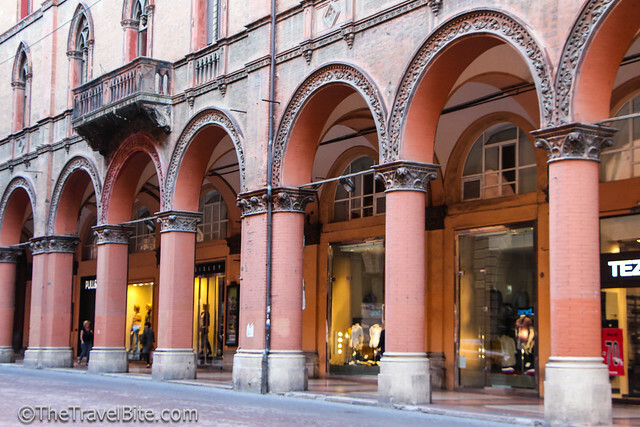 There are over 24 miles of porticoes in Bologna, so essentially you can walk the entire city sheltered from the sun and rain, though it seems rain is a rare occurrence. 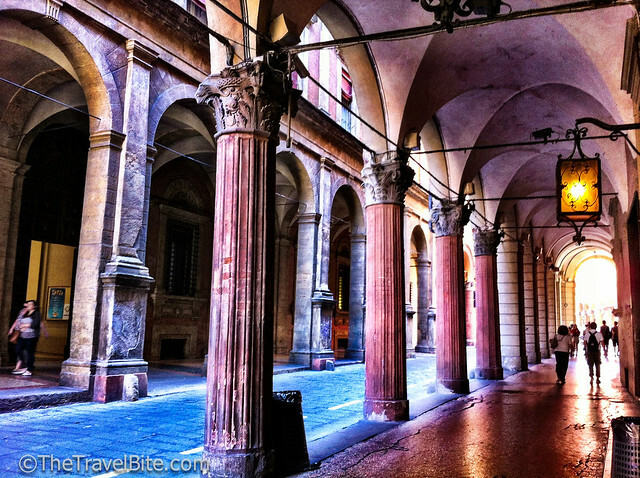 Some of the first porticoes built during the middle ages are made of wood. 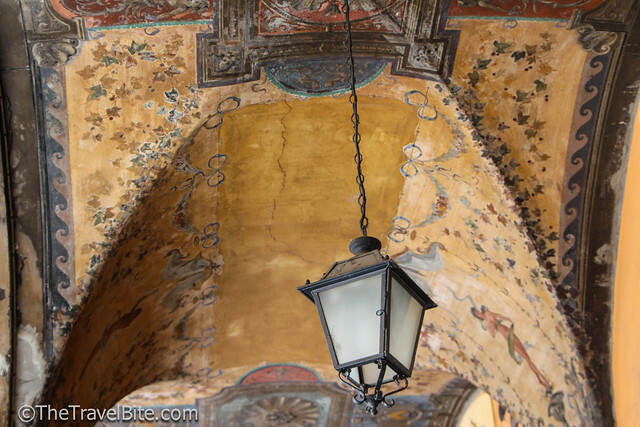 Some of the more modern ones are plain and lack ornamentation. But my favorites have to be the ones around the university as I can just imagine students and great philosophers walking beneath them during the 11th century. 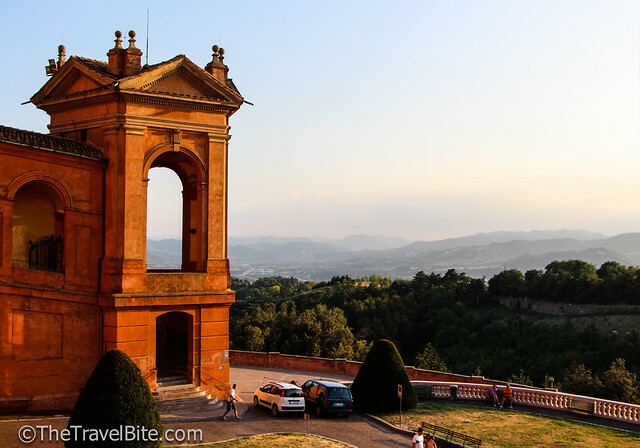 One afternoon, Suzanne (TheTravelBunny.com) and I made the pilgrimage via taxi (don’t judge) to the Sanctuary of the Madonna di San Luca. 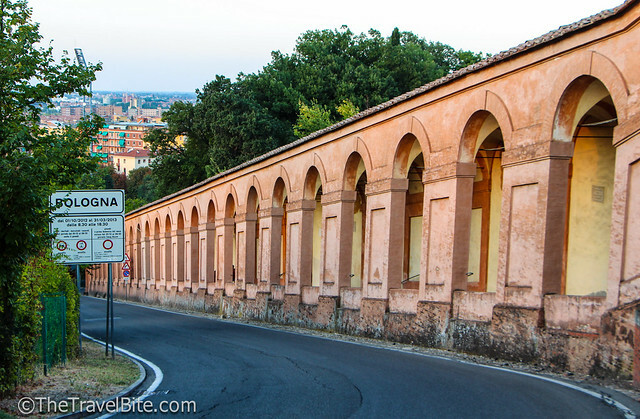 While we didn’t walk up the hill, we did traipse our way down the longest portico in the world (about 3.5 km or 2 mi), that extends from the sanctuary to the edge of the city. It was a great walk and late afternoon was the perfect time of day as we were able to catch the sunset on our way down. San Luca seems to be the place where all the locals go for a bit of exercise as we saw quite a few runners and cyclists also making use of the steep incline. I just might have to make this pilgrimage more often to pay penance for all the pasta and gelato I’ve been eating. 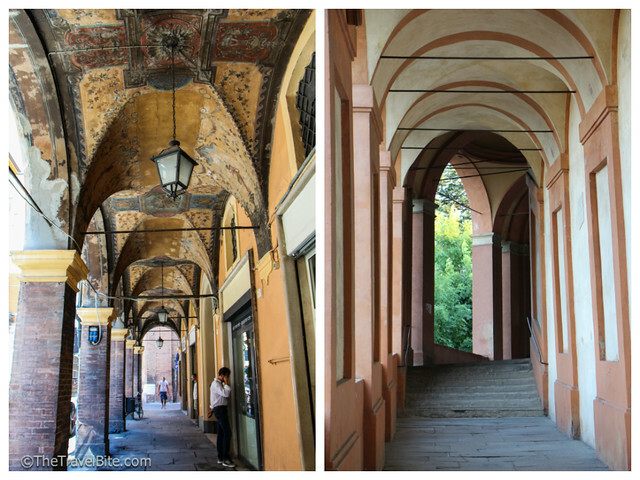 Take a peek below at some of the eye-catching porticoes around Bologna. Which one is your favorite? Amazing set of pictures! 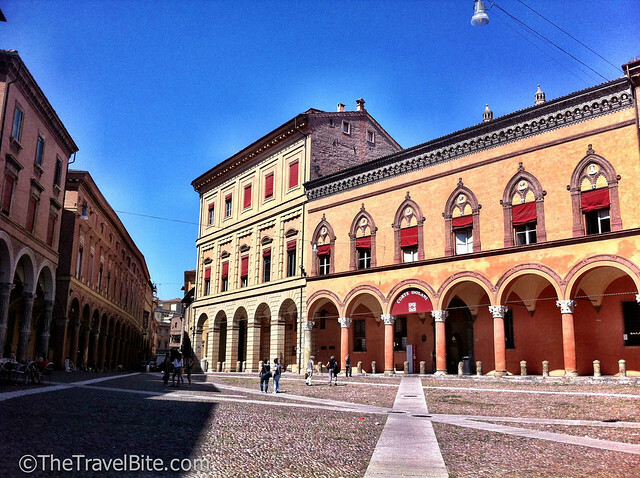 Bologna is so fascinating! Wow, those are some beautiful pictures. 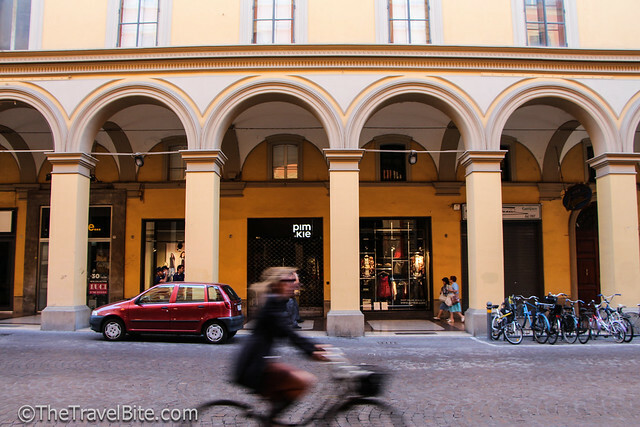 I’ve been to Italy before but the main, touristy places. Next time I go I’m going to try and get out their. I love your philosophy on travel. Experience the culture by eating their food. Awesomeness. Hi Rachelle – hope you’re enjoying San Marino 🙂 Just to let you know your portico pic isn’t showing up on your home page slider.